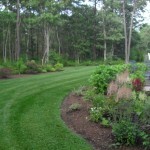 A healthy Martha’s Vineyard lawn has many components. From correct soil and seed type to fertilization and scheduled maintenance. We care for your lawn every step of the way maximizing its beauty year round. We develop a customized plan for each of our customers to produce the results that you want. 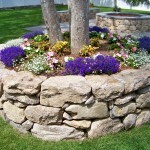 We develop, install and maintain gardens of all types. We work with you to bring your vision to life. Our expert team, well versed in plant knowledge, soil requirements and irrigation, will work with you to realize the outdoor spaces of your dreams. Whether developing an existing garden or creating new you will be pleased by garden spaces that put in a year round show. Offering a full array of masonry construction and maintenance services, we incorporate high level of craftsmanship with quality materials that stand the test of time. We source both local and exotic materials to create your project with classic beauty that provides definition to your landscape. 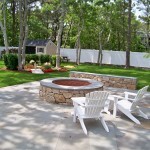 We take pride in continuing the Martha’s Vineyard tradition of quality masonry. Proper irrigation is essential in maximizing the health and beauty of the plant life of your landscapes. We offer complete irrigation system service. From design & installation to repair and maintenance, we are there every step of the way. We develop custom irrigation plans based on the unique needs of your outdoor spaces. We provide system training and on going support that will ensure proper functioning over time. Trees can add wonderful life and balance to any landscape. They can also be troublesome and dangerous. We provide safe and efficient tree services for every scenario in a timely manor. We are there when it matters most. Our expert team uses best practice methodology to promote healthy, beautiful, long lasting trees. The key to great looking healthy landscapes is proper, timely maintenance. We provide maintenance services for every aspect of your landscape. We work with you to evaluate your property and develop custom maintenance plans that meet the needs of your unique landscape all year round. We stay ahead of each season to ensure your property looks it’s best in each season, year after year.